Are you a minimalist when it comes to your everyday wear? There is a big chance that your whole wardrobe is filled with Plain T-Shirts. Even if it’s not, it doesn’t hurt to start looking for more plain t-shirt to add on to your wardrobe. Why? Because they are so comfortable, functional, and gives you less of a headache because they are easy to match with any kinds of clothes. It is definitely a time-saver if you’re late for work or a meet-up. Just put on a plain T-Shirt and you’re good to go! You can almost never go wrong when you put on a plain T-shirt to wear out, be it for a simple outing or even for a casual date. They are a classic piece of clothing that everyone will definitely own. Well, the big question is, “where to buy cheap plain t shirts in Singapore?”. No worries! We have compiled a few places you can check out to grow your collection of Plain T-Shirts in your wardrobe! You must have definitely heard of Uniqlo! 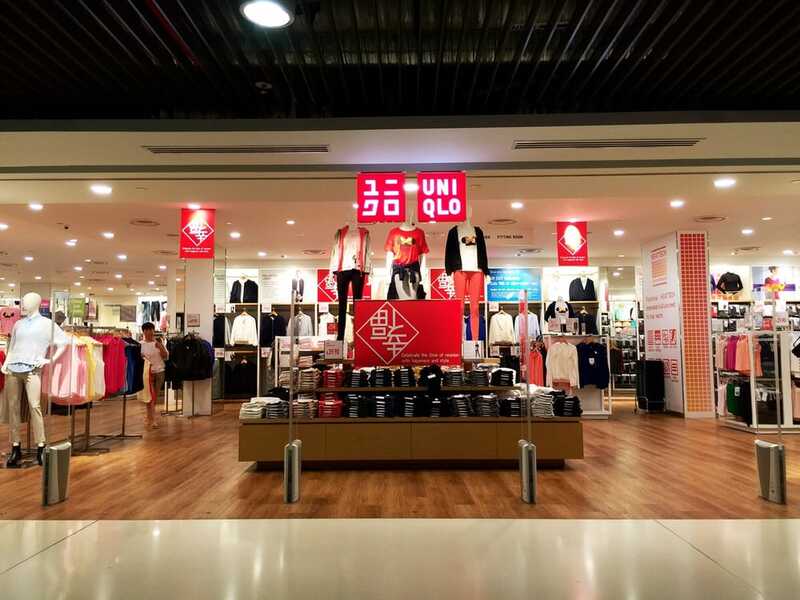 Uniqlo Co. Ltd. is a Japanese casual wear designer, manufacturer and retailer very well known for their presence here in Singapore! “Welcome to Uniqlo!” is a greeting you’ll get when you enter their store. 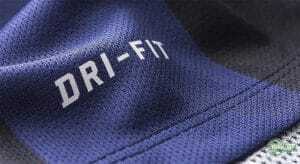 They have been growing in popularity rapidly because of their affordability, fashionable and functional clothing. They are very well known for their main product, “HEATTECH“, which keeps people warm without having to wear thick layers of clothing. They also have product lines such as AIRism which keeps people cool in their everyday wear, which is very popular here in Singapore since we experience summer all year long! They have a huge range of range of Plain T-Shirts in their store. They carry Plain T’s V-neck, Plain Tee Cotton, Plain Tee AIRism and many more different cutting for their Plain T-Shirts. Majority of their item in store are plain clothing infused with comfort and functionality. UNIQLO clothing is definitely a must have in your wardrobe! That’s us alright! We are a T-Shirt printing company that carry a whole range of plain T-Shirts for you to choose from! Browse all the T-Shirts that we carry. We carry Dri-fit Plain T-Shirts, Cotton Plain T-Shirt, Long-sleeve Plain Tees, V-neck Plain T’s, Raglan Plain T-Shirt and also Ringer Plain T-Shirts! We also carry Premium Gildan plain T-Shirts. Gildan is well-known internationally for their quality in Plain T-Shirts for customization. If you would like to add customization with us, just choose the plain T-Shirts that you love and check out the T-Shirt printing services we provide! Another super brand from Japan! 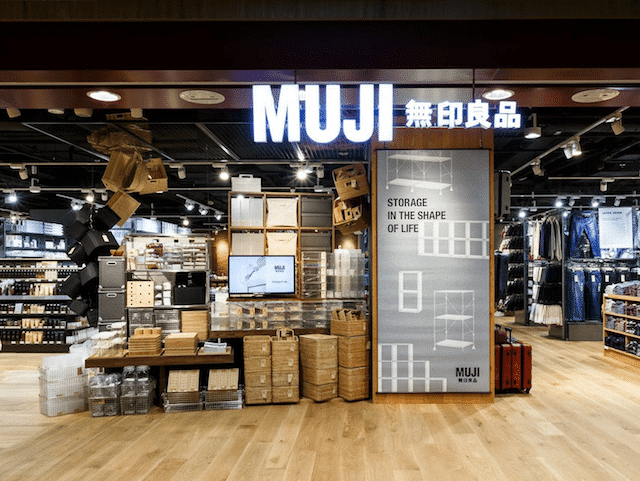 You might have thought that MUJI is well known only for their good quality products such as household goods, apparel & food. They are indeed well-known for their quality goods such as accessories, stationery, bags and also including their apparels. You can definitely find superb quality Plain T-shirts in MUJI. 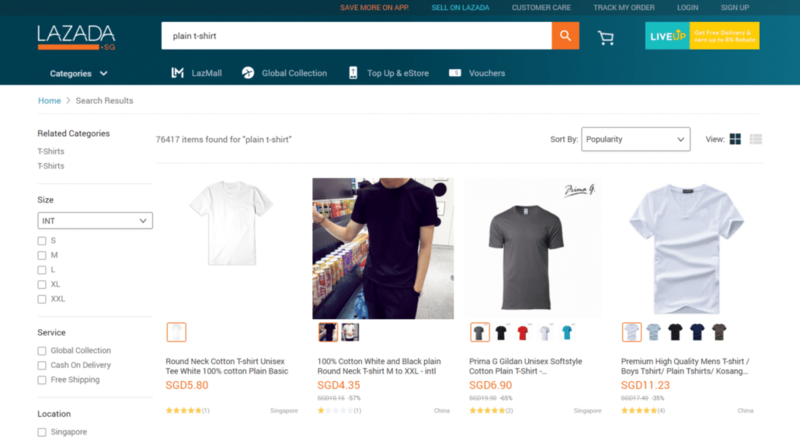 Check out the number of results that came up when we searched Plain T-Shirt on Lazada! Over 70,000 results! If that number does not amaze you, we’re not sure what will. You can definitely find something that suits you over here. Not to mention, the prices on Lazada are very competitive and affordable. Cheap Plain T-Shirts? No problem! Lazada also has millions of products for you to shop. Definitely must check out. 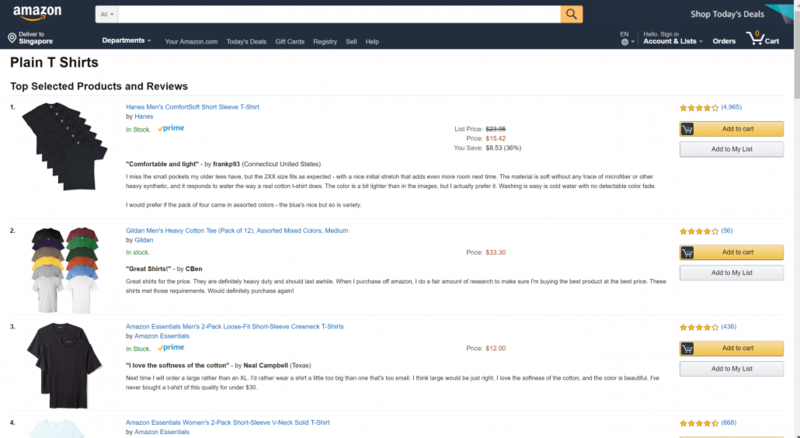 Last but not least, the biggest online store in the world, Amazon. They are the probably the only online store you can absolutely find anything that you are looking for. Branded Plain T-Shirts, V-neck plain tees, performance plain T-Shirts, and any other kind of plain tees! Even if you need the items urgently, don’t forget the amazing Amazon Prime. You’ll get your shipment within a couple of hours! How crazy is that?! 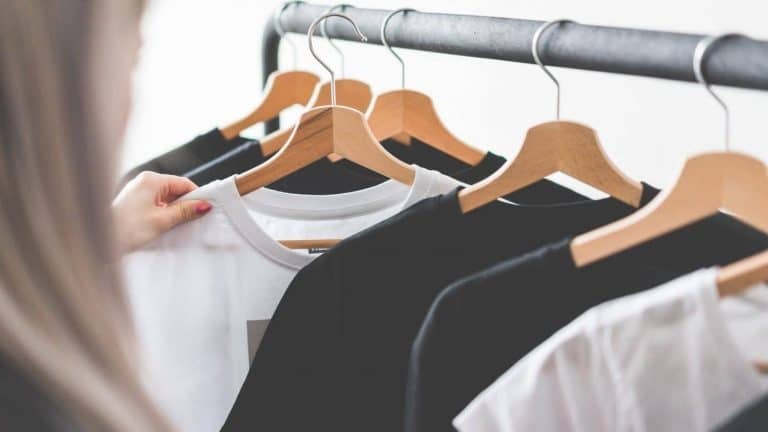 These 5 places will definitely help you in your journey to buy your Plain T-Shirts collection in your wardrobe. 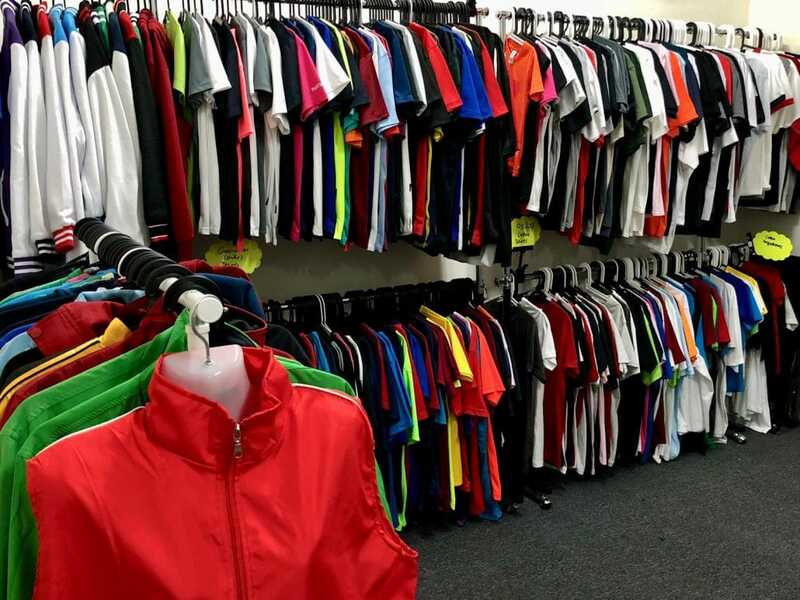 The places we recommended sells quality plain T-Shirts which will be a bang for your buck. If you love the article, share with others through our sharing buttons! Let us know in the comments your thoughts!